Aims: In this study, removal efficiency of linear alkylbenzene sulfonate (LAS) in Stabilization pond plant was investigated. Materials and Methods: In this study, 64 samples were taken for 1-year in stabilization pond plant of Yazd city, central of Iran, in 2010. 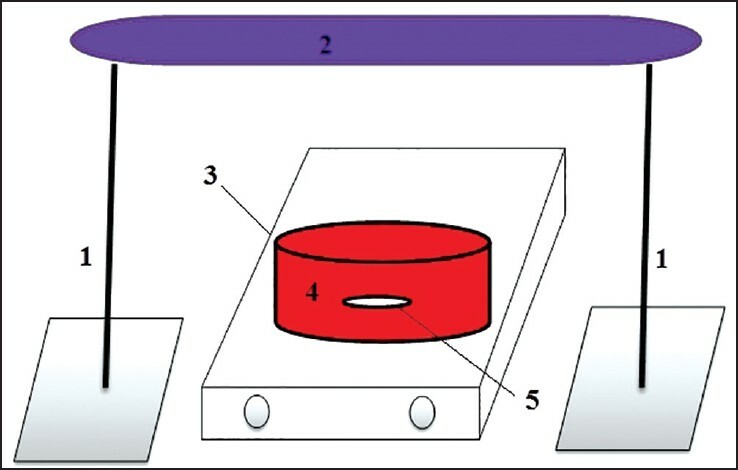 The samples were analyzed according to the standard methods. Methylene blue active substances were used to determine the amount of anionic surfactants. Results: The most removal efficiency of anionic surfactants occurred in secondary facultative stabilization pond in summer and the least removal efficiency of anionic surfactant in anaerobic stabilization pond in the autumn was obtained. Conclusion: According to the environmental standards for discharge of treated wastewater to the surface water, agricultural water usage and discharge to absorbent wells with P < 0.5 have significant difference values are more than standards. Aims: In this study, the health impacts of SO2 in three cities, including Ahvaz, Kermanshah and Boushehr was quantified and compared based on modeling using data from Department of Environment (DoE) in 2011. Materials and Methods: Required data were collected from DoE and Meteorological Organization. Later, data were processed by Excel software and entered into AirQ Model; this model is identified by the World Health Organization. The processes include: Correction of temperature and pressure, matching the unit with the model. Results: Results from three study areas showed that SO 2 concentration in Kermanshah city with the annual average of 103 μg/m 3 and in Boushehr city with 44 μg/m 3 was the highest and lowest in 2011, respectively. In all three cities, 8% and 1% increase in risk of cardiovascular and respiratory mortality was observed, respectively, per 10 μg/m 3 increased in concentration of SO 2 . Conclusion: About 60% of cardiovascular deaths attributed to SO 2 in ambient air of Ahvaz occurred in days with pollutant not exceeding 90 μg/m 3 , whereas 46% and 41% of this health end point occurred in days with sulfur dioxide concentration not exceeding 190 μg/m 3 and 100 μg/m 3 in ambient air of Kermanshah and Boushehr, respectively. 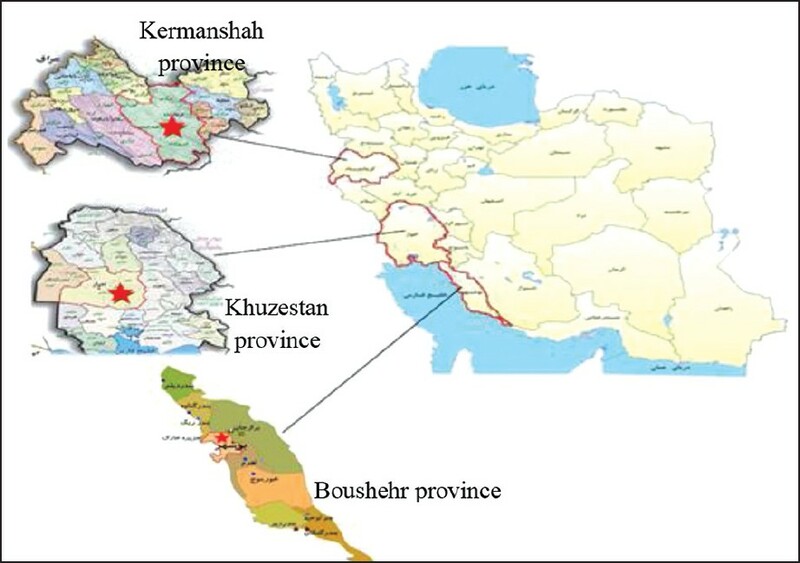 In comparison, Kermanshah and Boushehr were the highest and lowest in view of cardiovascular and respiratory mortality attributed to SO 2 concentration in 2011, respectively. 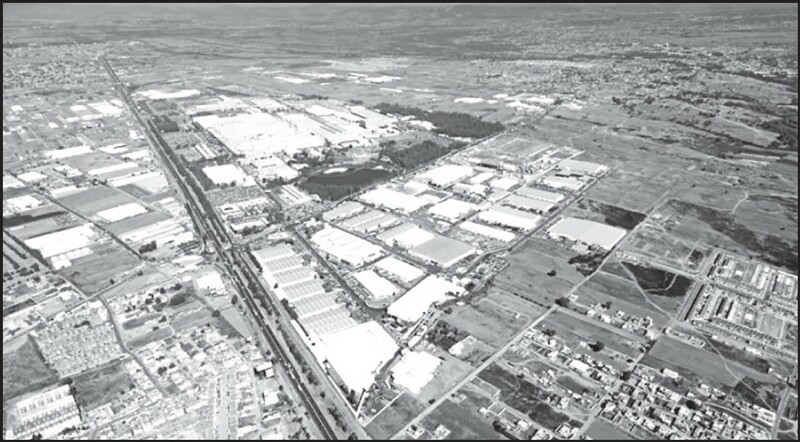 Aims: The concentration of Cd, Cr, Al and Pb present in inhalable air and deposited dust in a metal-mechanical parts manufacturing plant in Puebla, México were determined in order to assess the occupational exposure of workers in this plant. Materials and Methods: Fourteen air samples, six from the metal welding (MW) and eight from the metal forming (MF) areas, as well as metal dust accumulated on the floor of an auto part manufacturing plant, were collected. Sampling and analysis followed the National Institute for Occupational Safety and Health (NIOSH) recommended methods for metals in inhalable air. Results: The average concentration of Al and Cd determined in a volume of inhalable air were adequate under NIOSH maximal exposure concentration limits in both sampled sites. Average concentrations of 0.001 (MF sampling site) and 0.105 μg/L (MW sampling site) for Al; 0.003 (MF) and 0.0005 (MW) μg/L for Cd, with respect to the NIOHS limits, 10 and 0.005 μg/L, for Al and Cd, respectively. However, Cr and Pb concentrations exceeded or were close to the limits recommended by NIOHS in both places (0.5 and 0.05 μg/L for Cr and Pb, respectively). Average concentrations of 0.345 (MF) and 0.77 (MW) μg/L for Cr and 0.153 (MF) and 0.649 (MW) μg/L for Pb, were determined. 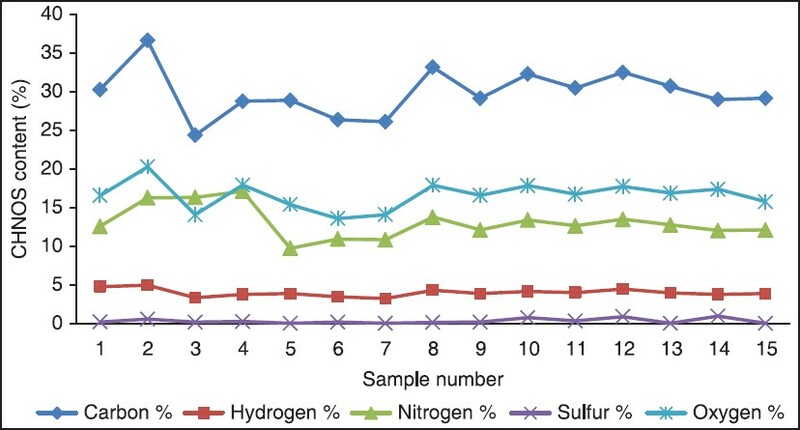 Levels of metal content (Cd, Cr and Pb) in powder samples collected in both sampling sites were also higher than the suggested limits. Conclusion: The average concentration of Cr and Pb exceeded the limits recommended by the Occupational Safety and Health Administration and NIOSH for inhalable air in the workplace. Workers may be on risk of heavy metal occupational exposure. It is endorsed to implement safety measurements to avoid the breathing of contaminated air and also industrial level systems for dust and aerosol particle filtering or precipitation, altogether with stricter policies to regulate heavy metal exposure at these industries. Aims: This study investigates the potential of chitin shrimp shells for the removal of arsenic (V) and zinc (II) ions from aqueous solutions. Materials and Methods: In this study, the chitin was extracted from shrimp shells for arsenate and zinc ions removal from aqueous solutions. The effects of pH, adsorbent dosage, contact time and initial metal ion concentration on As (V) and Zn (II) removal were investigated in a batch system. Results: The equilibrium data were described using the Langmuir and Freundlich isotherm models. The Langmuir equation was used to find the maximum adsorption capacity for arsenate (11.574 mg/g) and Zn (270.27 mg/g). Biosorption was found to depend significantly on the pH of the solution and is optimal at pH values of 4 and 7. To determine the rate-controlling mechanism for metallic ion adsorption, pseudo-first-order and pseudo-second-order equation kinetic models were tested with experimental adsorption kinetic data. Modeling results revealed that As (V) and Zn (II) kinetics data were successfully described using pseudo-first and second-order models, respectively. FTIR analyses showed that hydroxyl and carboxyl groups could be very effective for capturing these metals. Conclusion: Results showed that the chitin is a good adsorbent for the removal of arsenate and zinc ions from aqueous solutions. 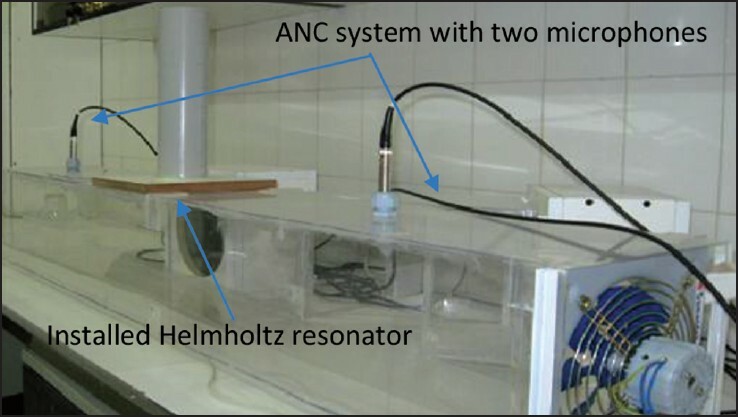 Aims: The main goal of this paper was to evaluate the effectiveness of Helmholtz resonator in noise reduction of duct equipped with active noise control (ANC). Materials and Methods: Noise frequency band was produced by a propeller fan, which was spread into a plexiglas duct. The noise was formed by digital signal processing (DSP) to estimate the anti-noise which spreads along the duct to postpone the primary noise as a response to DSP. In this method, fan noise was recorded with a microphone. The anti-noise with the same amplitude was reproduced, and the reverse phase postpones the original noise at the primary noise path by a speaker. The designed Helmholtz resonator was installed on the duct for detecting the reduction noise at the tonal interest frequency of 300 Hz. Helmholtz resonators can give sound attenuation at a narrowband of frequencies, close to its resonance frequency. The overall decline changes were estimated in order to predict the effectiveness of the method. Results: In this study, a noise discount of 5-10 dB at the peak frequencies has been observed. The peak frequency of residual noise has reduced 5-10 dB. The value is more than applying ANC system solely to optimize noise lessening of produced noise by a fan along the designed duct. Conclusion: Use of Helmholtz resonator is proposed as a suggestion to optimize the process of noise fall in duct. This study is concerned with the attenuation of tonal noise transmission in ducts by using ANC and side branch resonators together. Aims: The main purpose of this study was to determine the efficiency of a sequencing treatment including ultraviolet (UV)/H 2 O 2 oxidation followed by a moving bed bioreactor (MBBR). Materials and Methods: Effect of solution pH, reaction time, and H 2 O 2 concentration were investigated for an industrial wastewater sample. The effluent of the advanced oxidation processes unit was introduced to the MBBR operated for three hydraulic retention times of 4, 8, and 12 h. Results: The optimum condition for industrial wastewater treatment via advanced oxidation was solution pH: 7, H 2 O 2 dose: 1000 mg/L and 90 min reaction time. These conditions led to 74.68% chemical oxygen demand (COD) removal and 66.15% biochemical oxygen demand (BOD 5 ) removal from presedimentation step effluent that initially had COD and BOD 5 contents of 4,400 and 1,950 mg/L, respectively. Conclusion: Combination of UV/H 2 O 2 advanced oxidation with MBBR could result in effluents that meet water quality standards for discharge to receiving waters. Aims: This study was aimed to determine the TiO 2 /zeolite photocatalytic activity for removing red Safranin dye form aqueous phase. Materials and Methods: In this study, TiO 2 nanoparticles were produced using sol-gel method and 2.5 ml sol-gel was coated on 1.2222 g of zeolite. X-ray diffraction (XRD) and scanning electron microscopy (SEM) were applied to specify the structure and morphology of TiO 2 nanoparticles. The effect of TiO 2 coating on zeolite, ultraviolet (UV) radiation intensity, initial concentration of dye and the type of photocatalyst substrate (fixed and moving) on photocatalytic process was investigated. Results: According to XRD results, the TiO 2 nanoparticles had two phases including anatase (80.5%) and rutile (19.5%). The uniformity of nanoparticles was obvious in the SEM images. The removal efficiency of TiO 2 coated on zeolite was higher than TiO 2 photocatalysis with increasing UV radiation intensity from 2.4 w/m 2 to 3.9 w/m 2 , the photocatalytic efficiency was also enhanced. The removal efficiency decreased from 91.61% to 77.91% by increasing the red Safranin dye concentration from 10 mg/L to 50 mg/L. The moving bed of TiO 2 /zeolite photocatalyst had a higher efficiency than the fixed bed. Conclusion: In over all, the TiO 2 /zeolite photocatalyst was much more effective than TiO 2 photocatalyst for Safranin dye removal from the aqueous phase. With increasing UV radiation intensity and decreasing dye concentration photocatalytic efficiency, was improved. TiO 2 /zeolite photocatalyst with fixed bed is recommended to be used in water treatment. The most important problem of using moving-bed TiO 2 /zeolite photocatalyst in the water treatment is opacity. 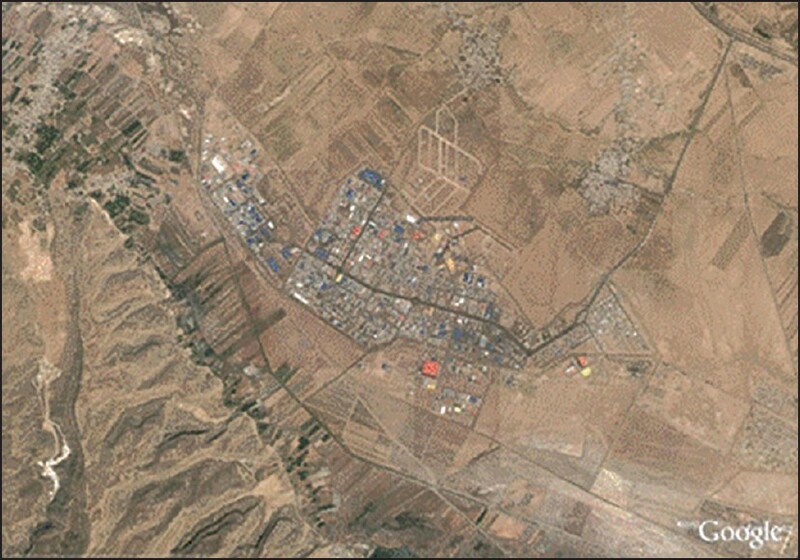 Aims: The aims of this study were to analyze the carbon, hydrogen, nitrogen, sulfur, and oxygen (CHNS-O) content of compost derived from Isfahan-Iran municipal solid waste using thermal elemental analyzer and to develop an approximate empirical chemical formula for the organic fraction of the mature compost as a function of its elemental composition. Materials and Methods: The compost samples (1 kg) were collected from different parts of the windrows and thoroughly mixed in accordance with standard methods. After drying and milling, each sample was introduced to an elemental analyzer to measure their CHNS-O contents. The moisture content, temperature, and pH value were also monitored in three different windrows during the process. Results: An approximate chemical empirical formula calculated for the organic fraction of the compost was: C 204 H 325 O 85 N 77 S. Conclusion: According to this formula, it appears that the mature compost produced in the site contains higher value of nondegradable nitrogen, which leads to a lower total C/N ratio. Therefore, improving the primary separation of raw material in the composting plant particularly severance of plastic materials can result in an optimum C/N ratio. Aims: The aim of this study was to evaluate the relationship between environmental and physiological heat stress indices based on heart rate (HR), oral temperature for the estimation of heat strain, in veiled women in hot-dry condition in the climate chamber. 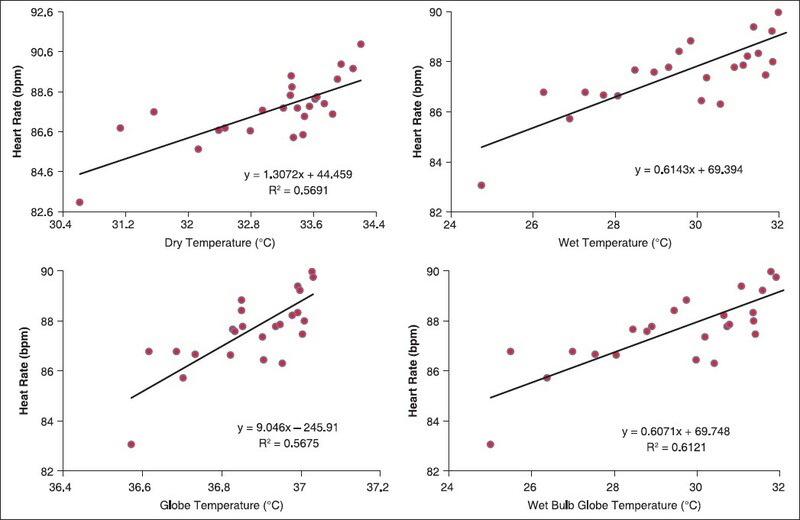 Materials and Methods: The experimental study was carried out on 36 healthy Muslim women in hot-dry climatic conditions (wet bulb globe temperature (WBGT) = 22-32°C) in low workload for 2 h. The HR, oral temperature and WBGT index were measured. The obtained data were analyzed using descriptive statistics and Pearson correlation tests. Results: The results of the Pearson test indicated that physiological strain index was a high correlation (r = 0.975) with WBGT index (P < 0.05). Also, there was a good correlation among WBGT and HR (r = 0.779) and oral temperature (r = 0.981). Conclusion: The findings of this study illustrated that there is a good correlation between environmental and physiological heat stress indices in veiled women with Islamic clothing at the low workload over the action limit (WBGT = 31°C). So that it can be concluded that the WBGT 22-32°C is a good indicator of the heat strain in veiled women with Islamic clothing.